Stellar (XLM) - Events, Price, Market Cap, Supply, Exchanges and more! 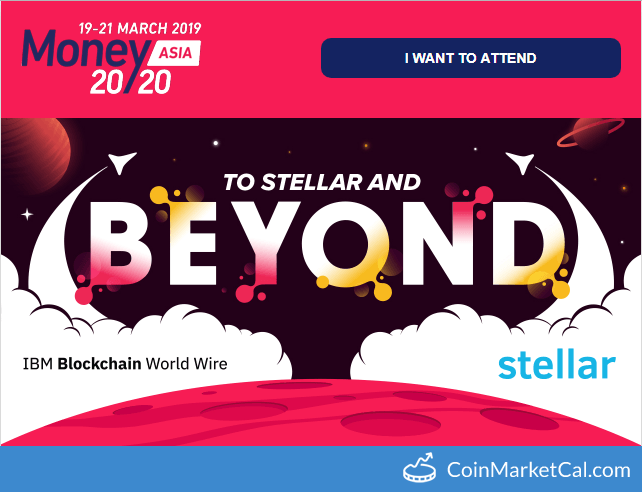 Stellar is a public blockchain network that enables cross-border payments at almost no cost. With this financial system they fight poverty and help develop individual potential. 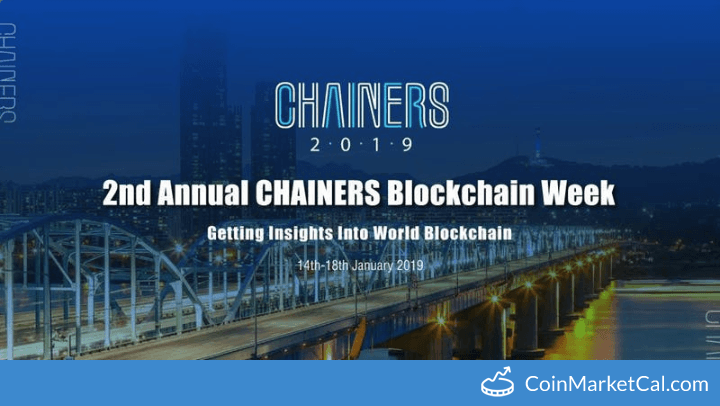 Open-source Stellar wallet SDK released during Q2 2019. We will push 3 Protocol upgrades; one each in Q2, Q3, and Q4. In Q2 we will migrate the SDF infrastructure to a new production environment. "By Q3, we will have at least one high-quality, high-impact project using our new framework." We are adding a configurable feature to Horizon in v0.17.2 to make it ingest failed transactions. 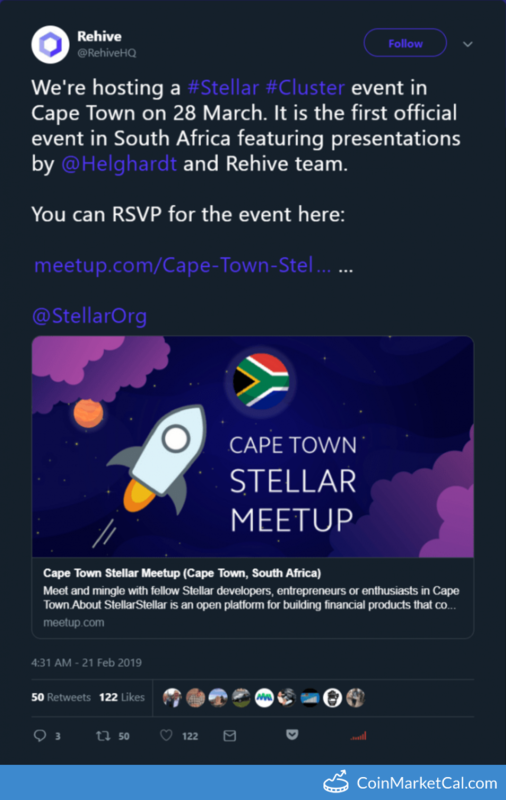 "We're hosting a #Stellar #Cluster event in Cape Town on 28 March." "We will accept deposits for approximately 12 hours prior to enabling full trading." 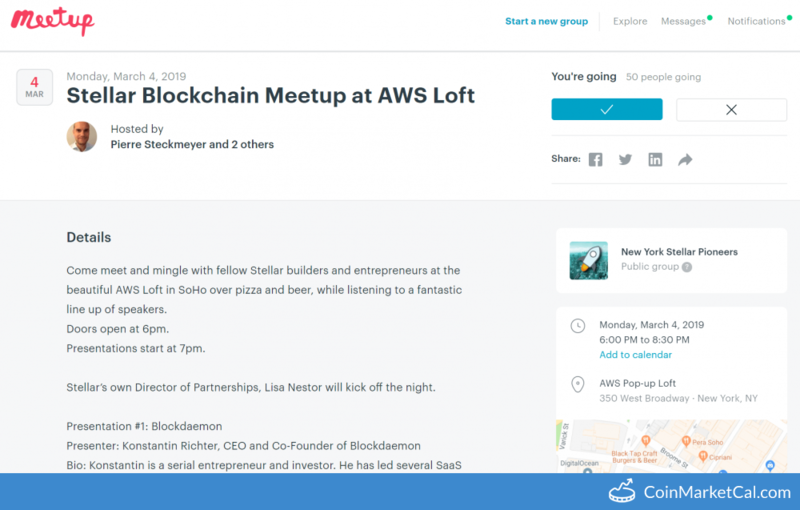 Stellar Blockchain Meetup at AWS Loft 350 West Broadway, New York, NY from 6:00 PM - 8:30 PM (EST).